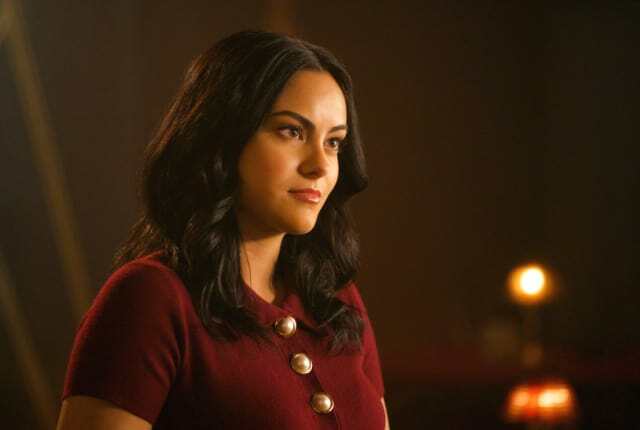 Watch Riverdale Season 3 Episode 9 online via TV Fanatic with over 1 options to watch the Riverdale S3E9 full episode. Affiliates with free and paid streaming include Amazon. On Riverdale Season 3 Episode 9, Jughead confronts a group of desperate Serpents, while Betty houses the group of patients who escaped the Sisters of Quiet Mercy. Veronica: Daddy made it very clear that if La Bonne Nuit was to continue operating in a post-quarantine Riverdale, I’d have to give him 10% of my earnings for the privilege. Reggie: If you start paying him for protection now, you’ll never stop. Veronica: But ... there are ways to minimize that price. Veronica: Five percent feels fair. And once Daddy reviews these well-cooked books, he’ll be none the wiser. Reggie: Has anyone ever told you, you’re a badass? Permalink: Has anyone ever told you, you’re a badass? Archie: This isn’t real. You guys are all dead. Cassidy: You keep saying that but then how are we here? Talking with you? Archie: I’m dreaming. I must be, or I’m hallucinating from the loss of blood. Cassidy: Or we’re here and this is real? Archie: No, I went to juvie after being framed for your murder. Archie: I found you three in mines after Sheriff Maneda gunned you down. Hiram: If what you say is true, and we are dead, then it sounds like it’s all your fault. If you ever want to return to “Eldirvare,” you’re gonna have to play ... and win. Come on, one round at least? Permalink: This isn’t real. You guys are all dead.